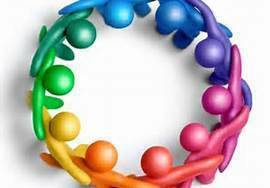 The healthy success of any community relies on the active participation and wise leadership of its members. From its earliest days as a parish, St. Pius X has had wise, pragmatic and dedicated parishioners who stepped forward- sometimes asked, sometimes moved to volunteer, sometimes summoned- to work with the pastor and the diocese to create and maintain a parish that provides its members with liturgy, pastoral care, education and opportunities for ministry. 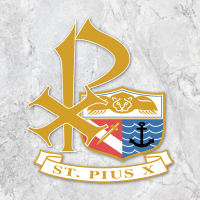 The lay trustees, the Parish Council and Finance Council, provide governance at St. Pius X parish. The Parish Trustees serve as the legal representatives of the Parish in cooperation with our Pastor. Each Trustee is appointed to serve for two years by our Pastor. The Parish Council serves as a unifying structure for our Parish community and a consultative body to our Pastor. The Parish Council provides a means for the laity to initiate, coordinate and participate with our priests in all spiritual and temporal works of the Parish. The Parish Council meets once a month. The Finance Council serves as a financial consultative body to the Pastor. The Council meets to discuss the Parish’s finances and create a budget, and performs accounting services for the Parish in accordance with the financial rules and regulations promulgated by the Diocese of Rockville Centre in consultation with the Diocesan Finance Department. The Finance Council works closely with the Parish Council. The Finance Council meets once a month. 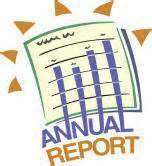 The Financial Reports for our Parish’s fiscal year ending August 31, 2018 was published in the November 11, 2018 bulletin and is available on the parish website under "Pastor's News".